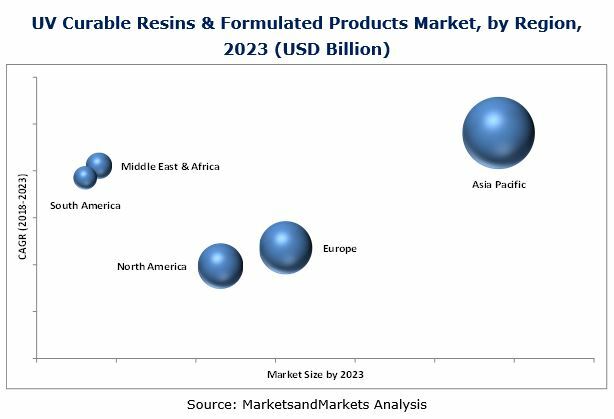 [165 Pages Report] global UV curable resins & formulated products market was valued at USD 3.69 Billion in 2017 and is projected to reach USD 6.31 Billion by 2023, at a CAGR of 9.5% from 2018 to 2023. The market is witnessing high growth, owing to increasing applications, technological advancements, and growing demand for these resins in Asia Pacific and South America. UV curable resins are largely used in the coating application. The rapid growth of the market is driven by environmental concerns and increasingly stringent regulations on VOC emissions. This study aims to estimate the market for UV curable resins & formulated products for 2017, and project its demand till 2023. It provides a detailed qualitative and quantitative analysis of the market. Various secondary sources, such as Hoovers, Bloomberg, Chemical Weekly, Factiva, RadTech, government and private company websites, and other associations, have been used to identify and collect information useful for an extensive commercial study of the UV curable resins & formulated products market. 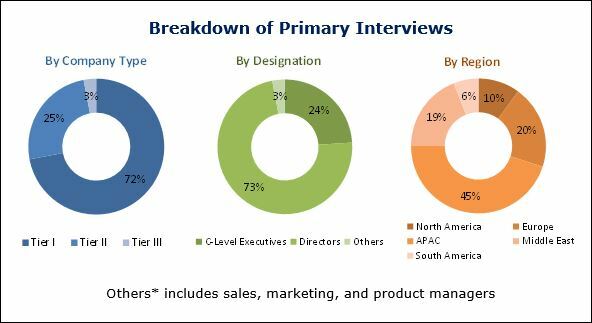 Primary sources, such as experts from related industries and suppliers, have been interviewed to obtain and verify critical information, as well as assess prospects of the UV curable resins & formulated products market. Key players in the global market include Arkema (France), Allnex (Germany), Toagosei (Japan), BASF (Germany), Royal DSM (Netherlands), Covestro (Germany), Nippon Gohsei (Japan), Hitachi Chemical Company (Japan), IGM Resins (Netherlands), and Miwon Specialty Chemical (South Korea). The global UV curable resins & formulated products market is estimated to be USD 4.00 Billion in 2018 and is projected to reach USD 6.31 Billion by 2023, at a CAGR of 9.5% from 2018 to 2023. Factors driving the market are environmental concerns, growing awareness about safety and health, stringent regulations on VOC emissions, and high performance of UV curable resins owing to its superior mechanical properties. The UV curable resins & formulated products market has been segmented on the basis of composition, chemistry, application, technology, and region. Among compositions, the oligomers segment is projected to lead the UV curable resins & formulated products market during the forecast period, in terms of value. Oligomers such as acrylates are used for manufacturing paper coatings, overprint varnish, wood coating, in ink application (screen and offset), and is expected to witness increased demand in Asia Pacific. The coatings application segment is expected to lead the UV curable resins & formulated products market during the forecast period. With legislators seeking to reduce solvent emissions from the coating process through laws such as the Solvent Emissions Directive (SED) and the Decopaint Directive (DPD), there is a rising trend toward the use of environment-friendly industrial coating systems. As a result, UV curing systems are becoming increasingly important. The use of UV coatings has increased significantly over the last decade in the electronics industry for mobile phones, laptops, and game console coatings. The main reason for this growth is the excellent performance of the UV coatings, such as good wear resistance, outdoor durability, and resistance against household chemicals. Asia Pacific is the largest market for UV curable resins and formulated products, followed by Europe and North America. The market for UV curable resins and formulated products in Asia Pacific is estimated to record high growth, owing to their increasing demand from the electronics sector. This high growth can be attributed to the increasing consumer awareness and environmental concerns, and the subsequent adoption of stringent VOC emission norms. Factors restraining market growth include the need to thermally dry sensitive substrates and high setting-up cost of the UV coating manufacturing plant. The high cost is an obstacle to setting up a high-performing water-based UV system. The initial cost of formulating and equipment can be higher than the cost incurred on conventional coating technologies. The UV curable resins & formulated products market is led by various players depending on their core competencies. Key players in this market are Arkema (France), Allnex (Germany), Toagosei (Japan), BASF (Germany), Royal DSM (Netherlands), Covestro (Germany), Nippon Gohsei (Japan), Hitachi Chemical Company (Japan), IGM Resins (Netherlands), and Miwon Specialty Chemical (South Korea). As a part of its business strategy, Allnex focuses on developing new products to differentiate its products from its competitors. It also participates in various conferences and exhibitions to highlight its products and technologies. The company undertook a few expansion activities to develop new markets for its products. It also invested in a new technical services & development (TS&D) laboratory in Shanghai to bring together its key technologies under one roof for synergies and resource sharing in technical developments. The company invested in a new technology center in the Americas to accelerate its growth in key markets and further globalize its business. 13.8 Hitachi Chemical Company Ltd.
13.10 Miwon Specialty Chemical Co. Ltd.
13.14 Wanhua Chemical Group Co., Ltd.
13.22 Double Bond Chemical Ind., Co., Ltd.
13.25 Arakawa Chemical Industries, Ltd.
13.29 Nissan Chemical Industries, Ltd.